DESCRIPTION This updated Hillhurst home is centrally located adjacent to Memorial Drive siding directly on to a greenspace and offers a 22 minute walk to central downtown! 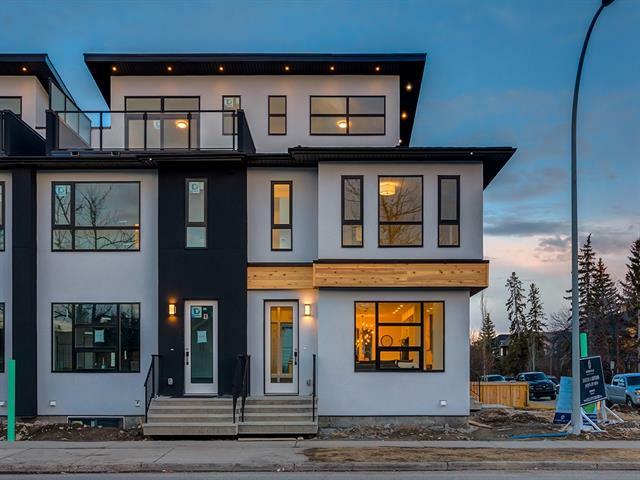 Carefully designed to offer natural sunlight in the main living spaces and bedrooms away from the road PLUS a zen-garden and a DREAM GARAGE with epoxy coated flooring and built-in cabinetry. Updated kitchen with new high-end Samsung appliances w/ 5-yr warranty and South-facing balcony with downtown views + gas line for BBQ. On the upper level is the peaceful master suite with extensive built-in closet, ensuite with dual sinks and access to the back yard. A second bedroom above grade is currently used as an office. Next to the foyer is a reading nook and a flex room developed from the former garage. Fully finished basement with third bedroom, laundry area, 2-piece bathroom and rec room. The lush, fully landscaped yard has a composite deck and a patio area with gas line. Exceptional inner-city living! Home for sale at 1632 Westmount Bv Nw Calgary, Alberts T2N 3G6. 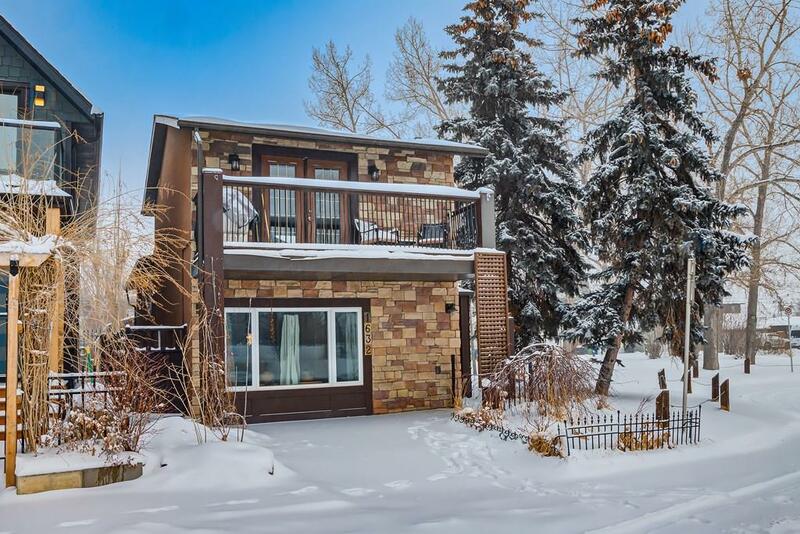 Description: The home at 1632 Westmount Bv Nw Calgary, Alberta T2N 3G6 with the MLS® Number C4227026 is currently listed at $674,900.